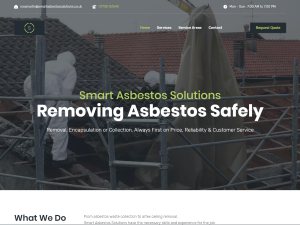 Smart Asbestos Solutions are an experienced team of asbestos removal experts. Operating in Essex, London and Kent, they cater to all aspects of asbestos in domestic and commercial properties. Call today for a free quote or site survey.